From mould to delivery of the end product. The specialists in our modern toolmakers’ workshop manufacture premium quality moulds and calibres. Your specialist in client specific profiles. We offer you more than 50 years of experience in the production of Technical Profiles, in hard as well as soft plastic materials, but also as co- and tri-extrusion. More than 2000 different plastic profiles in stock and available immediately. Our Outdoor Profiles are manufactured from the premium quality material Resysta, the alternative to tropical hardwood. Your specialist for the development and manufacturing of client specific profiles. We are pleased to assist you in selecting the right materials, modelling, or post processing of your profile. More than 2000 different plastic profiles permanently in stock, serving the building sector, the industrial sector, and interior design in the retail industry. Manufactured from the premium quality material Resysta. Eco-friendly, easy maintenance, and with the luxurious look of tropical hardwood. CF kunststofprofielen is a modern flexible company with over 50 years of experience in the plastic profiles industry. Our company specializes in the development of client specific plastic profiles. A good understanding with the client is the key when developing new products. After all, you know best what the applications and the purposes of the profile are for. We can offer you years of experience in making mouls for technical profile applications in both soft plastics and as a co- and tri-extrusion. Your plastic profiles specialist! 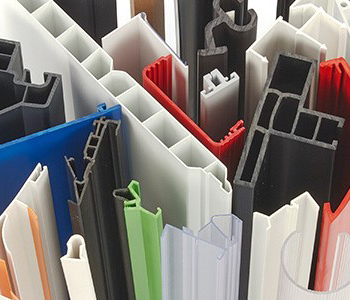 CF kunststofprofielen is a manufacturer that keeps a wide range of standard plastic profiles in stock for plastic window frames and door frames, construction and shop fittings and fixtures. 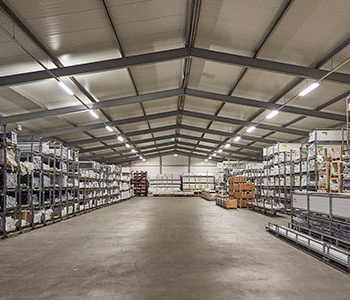 More than 1,500 different plastic profiles can be delivered swiftly from the stock. We live in an ever changing world. Each day, new developments require higher demands. This process results in a constantly changing production of new product types or improved commodities. What is the best way for people to adjust to these developments? We know the answer to this question. CF Plastic Profiles offers client specific solutions for various industries for a wide range of applications. For example, we develop plastic profiles for the construction and retail industry, as well as for the industrial sector. Yet these are not the only industries in which we operate. We have in-house mould making facilities, which gives us a high level of flexibility. If you are looking for client specific plastic profiles, please feel free to contact us at any time. We can help you find the right solution! For more information regarding special profiles, please visit our web page “custom made”. No sales to private individuals.